Direct: 4,500 inhabitants/900 families (2,250 girls and women, 1,125 boys under 15) in the municipalities worst affected by Typhoon Haiyan. Indirect: 3,000 people (1,500 girls and women, 1,500 boys under 15). Priority will be given to families one of whose members is disabled, which have pregnant women and/or under-fives, which are single-parent or which are the responsibility of a minor or are displaced. 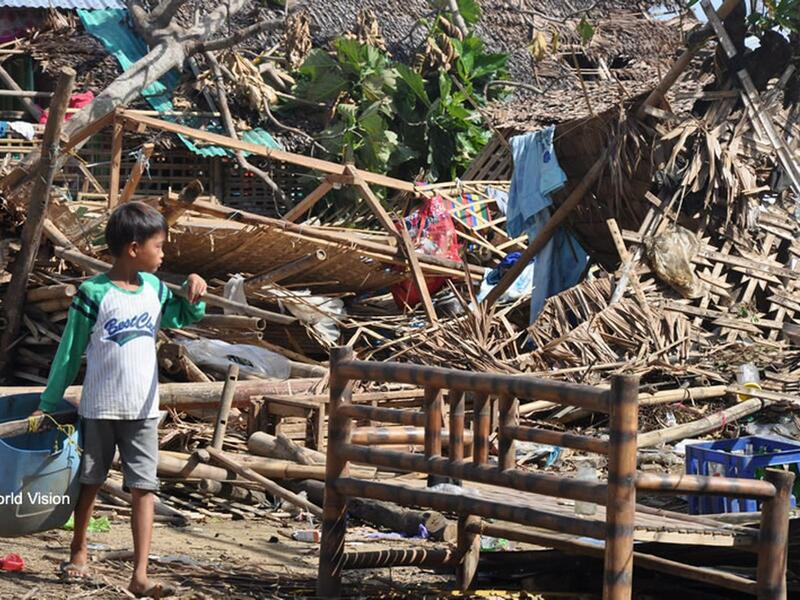 Eastern Visayas was already the Philippines’ poorest region before the onslaught of the typhoon, with 37% of its population living below the poverty line. And, in it, one of the worst hit provinces was Leyte. 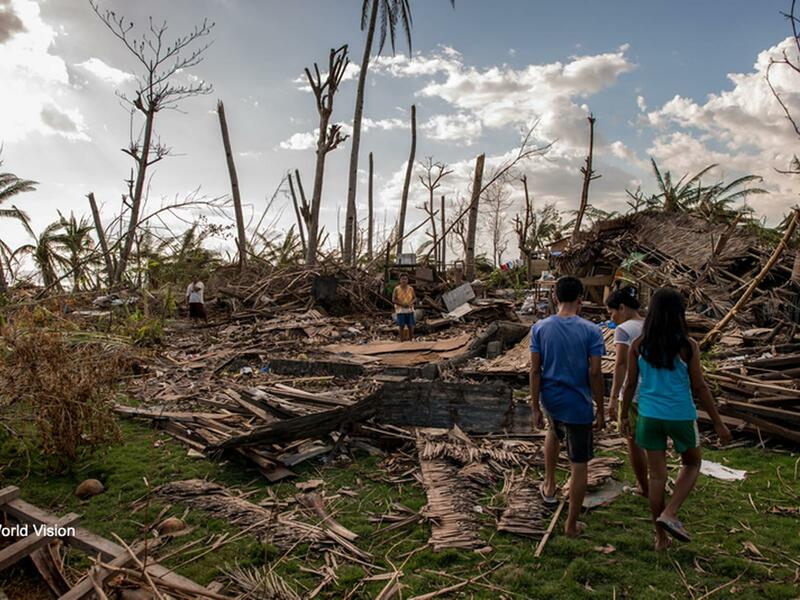 One of the consequences of the typhoon was the destruction of community water systems, which forced the local population to resort to contaminated sources, reduce water consumption on non-essential activities and depend on outside help. 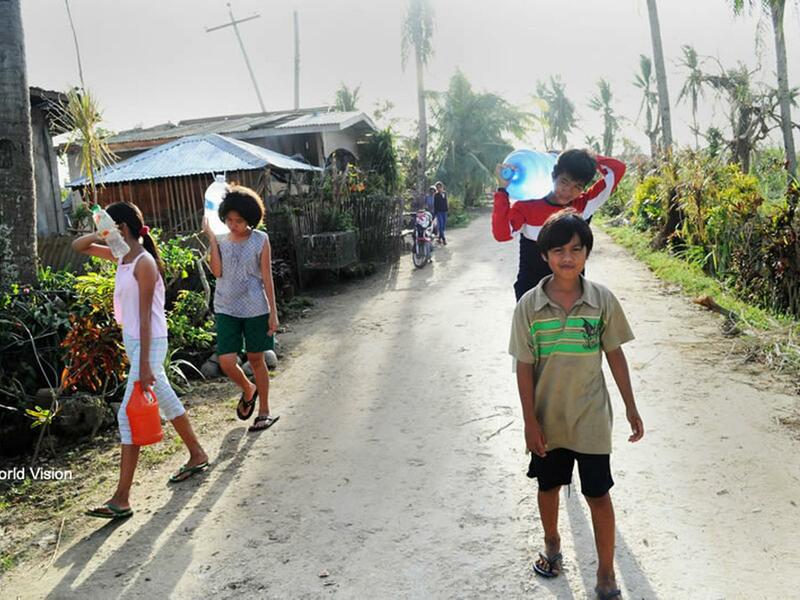 a) To ensure that Leyte’s inhabitants enjoy improved access to drinking water. 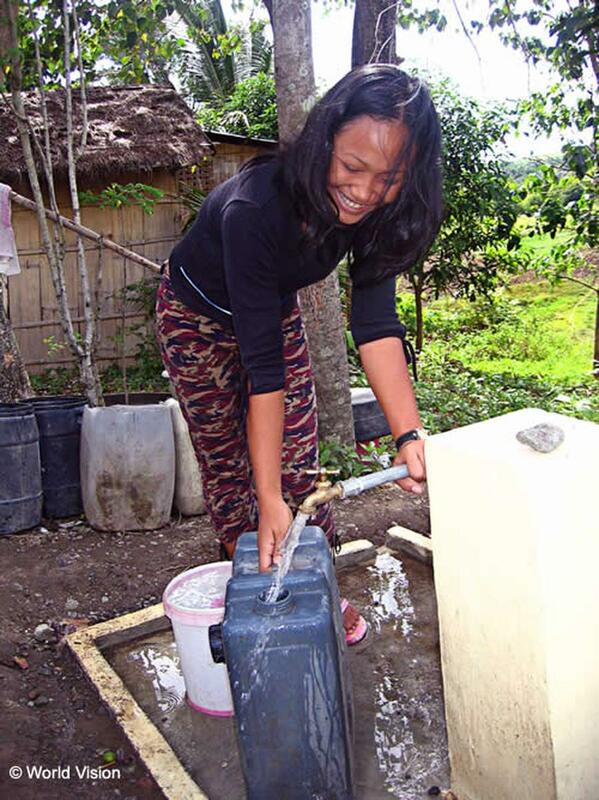 b) To provide access to drinking water and environmental hygiene for 4,500 people affected by Typhoon Haiyan. c) To rehabilitate water supply systems, oversee water quality and treat it, especially in areas where the sources are unsafe. In the current phase of reconstruction, the priority is to rehabilitate water supply systems, oversee the water’s quality and treat it. 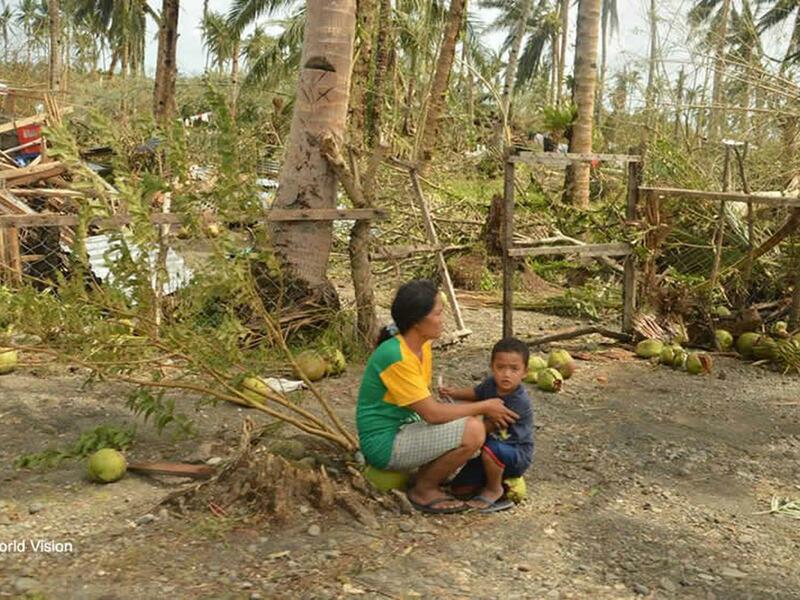 This project plans to do so in the Province of Leyte, where the municipalities most in need have been identified by means of field consultations and factors such as the extent of the damage caused by the typhoon, needs prior to the disaster and the presence of other NGOs have been analysed. World Vision has ranked municipalities by the severity of the current needs to define those in which the project and complementary actions will take place. Other criteria in the selection of beneficiaries include the number of disabled and displaced people, pregnant women, under-fives and single parent families. Once the intervention area has been specified, we will rehabilitate eight community water systems: 6 of Level 1 status (featuring 4 or 5 wells, rainwater collectors or sources with a manual pump) and 2 of Level 2 (community standpipes connected by piping to a tank and to a source of water with a greater flow rate). This will provide access to drinking water for 900 families or, put another way, around 4,500 people. At the same time, we will be working on water safety plans with the eight water and sanitation committees we will be organising and training in the communities, using a community-based strategy, something that is essential for ensuring sustainable access to drinking water. To complement this, we will be implementing awareness-raising processes covering hygiene and environmental care, to change practices that put 4,500 people directly at risk and a further 3,000 indirectly. 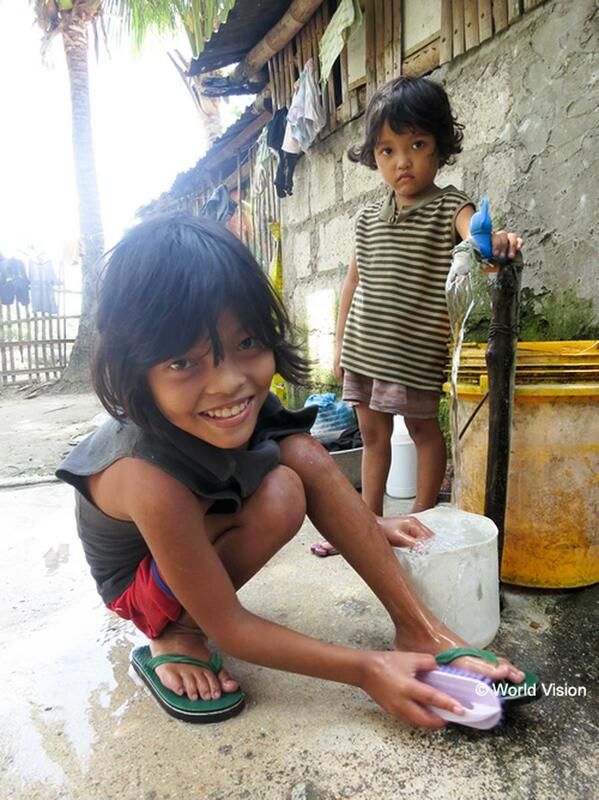 The majority of Leyte’s 2,200,000 inhabitants need help, among other things, to access water and proper sanitation. The main solution that this project aims to deliver is to provide access to drinking water for 4,500 people in Leyte and guarantee the sustainability of this access. To complement this, we shall implement awareness-raising processes covering hygiene and environmental care, to change poor hygiene and environmental practices that put the health of thousands of people at risk. The project forms part of the World Vision and We Are Water Foundation reconstruction programme, which includes actions on health, food safety, the recovery of agriculture, fishing and other livelihoods, the rebuilding of facilities (particularly health centres and schools) and training for local government in management and child protection. Construction of 6 Level 1 water systems. Construction of 2 Level 2 water systems. Organisation and training of 8 water committees. 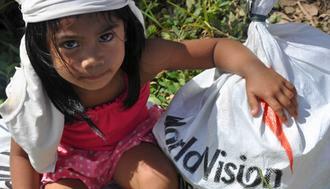 Raising community awareness of hygiene and environmental protection (1 per barangay). What social impact will the project have? The project’s direct impact will be an improvement in the wellbeing, especially the health, of 4,500 people, by providing them with access to safe water for drinking and cooking, which will reduce the occurrence of diseases linked to the consumption of safe water. It will also enhance the health and safety of beneficiary barangays, helping 7,500 people. 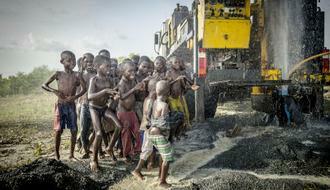 There will also be a positive impact on the environment.